Last May 30, 2015 at Alviera BrightScape Camfest in Porac Pampanga. Coleman Philippines is one of the major sponsors for all the tents we used on the camping grounds. Beside the tents, Coleman Philippines also showcase some of their products in one of the booths such as a jug, cooler and a lot more. 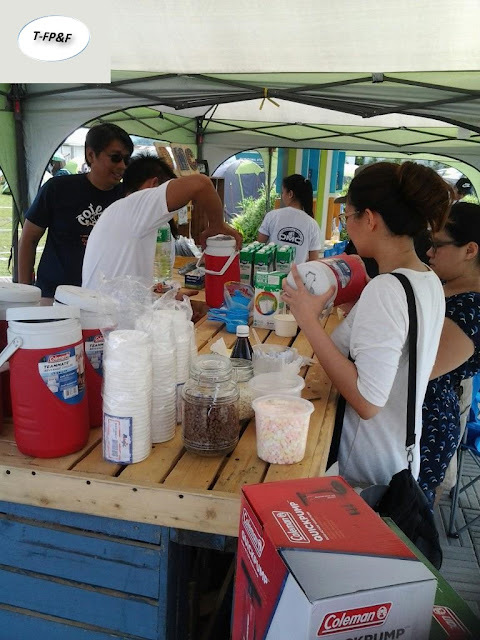 And one of the activity Coleman Philippines prepared for all the campers and adventurers that day is how to make an ice cream using Coleman jug. Here are the steps to make your own ice cream at home. Mix everything together and transfer mixture in a resealable bag. Using the Coleman Jug, put 1 cup of ice at the bottom and sprinkle half of the salt on top of the ice. Place the bag after then top with the rest of the ice and sprinkle with the remaining salt. Shake, shake, shake! Shake the Coleman jug for at least 10 minutes. Remove the resealable plastic bag in Coleman jug and put the ice cream in a cup and put some sprinkles like chocolate chips, marshmallows and some flavored syrup. Voila! You have ice cream!